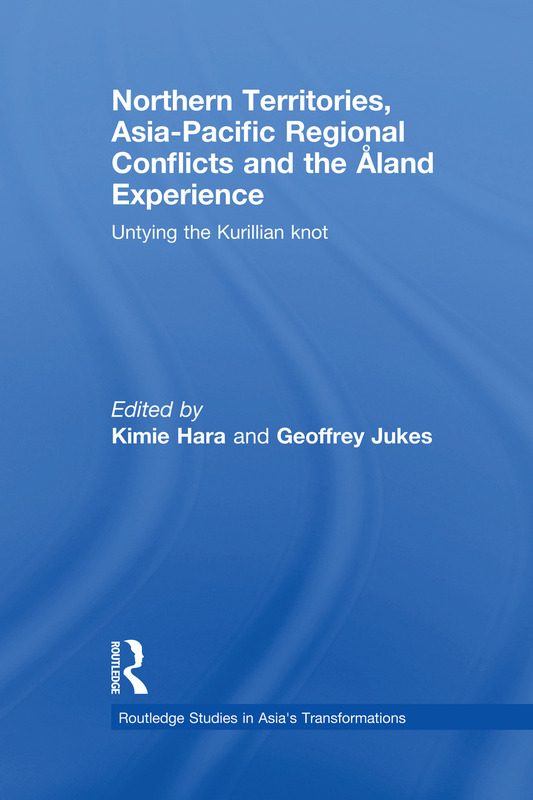 This volume is the fruit of an international collaborative study, which considers the Åland islands settlement in northern Europe as a resolution model for the major Asia-Pacific regional conflicts that derived from the post-World War II disposition of Japan, with particular focus on the territorial dispute between Japan and Russia, the Northern Territories/Southern Kuriles problem. The contributors provide analysis of the Åland settlement, the Japan-Russia territorial dispute and Åland-inspired solution ideas by experts from all over the world, including government officials, scholars and military specialists. Northern Territories, Asia-Pacific Regional Conflicts and the Aland Experience will be of interest to advanced undergraduate and postgraduate students, as well as academics working in Asian studies, politics, international relations, conflict resolution and security studies. Kimie Hara is the Renison Research Professor in East Asian Studies and Associate Professor at the University of Waterloo, and a Fellow at the Centre for International Governance Innovation, Canada. Geoffrey Jukes is a Senior Fellow of the Contemporary Europe Research Centre of Melbourne University and an Associate Fellow of the Centre for Arab and Islamic Studies (Middle East and Central Asia) of the Australian National University.